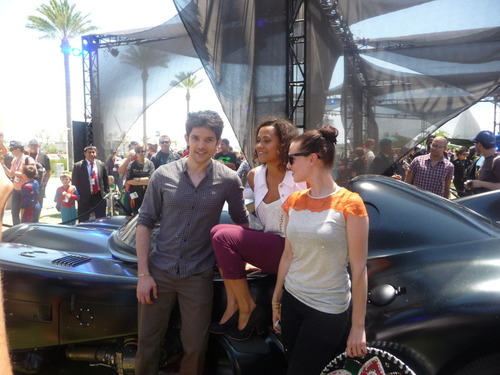 The Queen of Camelot et Al: SDCC 2012. Lovely well turned ankles.. Wallpaper and background images in the Arthur and Gwen club tagged: angel coulby. This Arthur and Gwen photo contains carriageway. There might also be ski rack, street, city scene, urban setting, internal combustion engine, and ice.